What Kind of Antenna Do You Need for HD Radio? 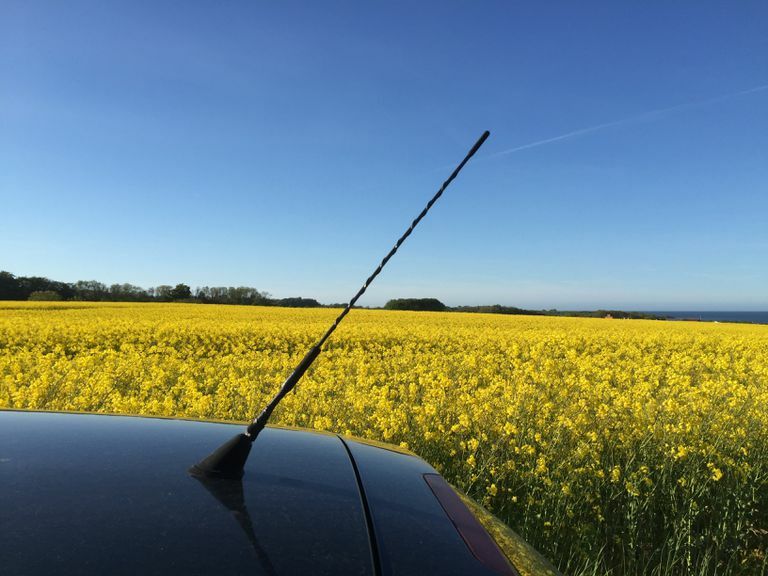 Do I Need a Special Antenna to Receive HD Radio? The good news is that you can receive HD Radio signals with the antenna that came with your car, as long as that antenna is in good shape. Even if you drive a 40-year-old hunk of Detroit steel, the antenna is going to be more than equal to the task of pulling in HD Radio broadcasts. The bad news is that unless you have a head unit that’s capable of pulling the digital HD Radio signal out of the standard analog broadcast of your favorite station, a potentially much more expensive upgrade is in order. Digital HD Radio signals, on the other hand, are broadcast right alongside the analog signals, using the same frequency ranges that have been in use for decades. In fact, that implementation has led to one of the biggest complaints about HD Radio. The good part is that technology developed by iBiquity allows stations to send out their analog broadcasts sandwiched in-between two digital sidebands within the same bandwidth they used to use for just the analog programming. The bad part is that powerful digital sidebands can actually bleed into adjacent frequencies and cause interference with less powerful analog stations. In either case, the digital signals can only be accessed via special HD Radio tuners that are built into some head units. Since iBiquity’s method involves broadcasting both analog and digital signals on the same old frequencies, you don’t need a special antenna to receive HD Radio. If you’re ready for an upgrade anyway, then there are a lot of great head units out there that come with built-in HD Radio tuners. The feature is far from universal, though, so you shouldn’t take it for granted that any given head unit will be able to play HD Radio channels. If you don’t see the iBiquity HD Radio logo on the box, then make sure to double check the feature list before you buy. If you like your factory radio, or you just upgraded your head unit and it doesn’t have an HD Radio tuner, then an add-on unit will be a better option. Some add-on HD Radio tuners are universal, which means you can use them with virtually any head unit. These add-ons typically come with a remote display, since your existing head unit won’t be able to display the additional information that comes along with an HD Radio signal. Other add-on tuners are designed to work with a specific type of head unit, which is typically a better and cheaper option if you own a compatible head unit. Certain Pioneer, Clarion, Sony, and other head units have add-on tuners that will allow you to listen to HD Radio stations. Since these add-ons are designed to interact with your head unit, they’re typically capable of displaying information like song titles and artist names directly on the head unit display. What Is HD Radio, and Is It Worth Upgrading to Get? Is HD Radio Dead, or Is It Just a Flesh Wound? Does Your Car Really Need a Satellite Radio Antenna? Should You Get HD Radio or Satellite Radio?